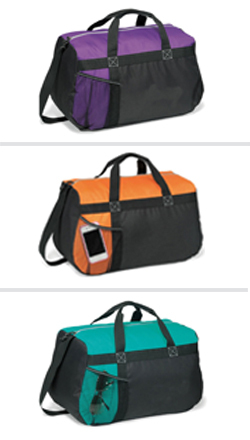 For all of you active athletes, dancers, and more.. this sports duffle bag is perfect to carry all of your supplies in! Whether you are headed to a game, to practice, or need something to help with all of your travel needs, this multi-colored bag is perfect for you. Take it with you to school, to the gym, or out on the field. Design and font made from a highly durable, fade-resistant precision cut film material. This material is applied to your item at a very high temperature and pressure for a long lasting, vibrant look. *Please note, we are unable to use this material to produce some of the art in our gallery that is highly detailed and/or multicolored.